Microbes vary their contribution to a community to maximise the return on their investment according to a new study led by UCL and the University of Bath. Scientists made the discovery while investigating one of the fundamental questions in biology - why individuals have evolved to cooperate rather than simply exploiting the contributions of their rivals. The study, published in PNAS, found that when microbes are in groups mostly made up of their relatives, they contribute heavily to cooperation, which benefits the group. In contrast, when they are in a group outnumbered by unrelated individuals, they exploit the contributions of the others. Author Professor Chris Thompson, (UCL Centre for Life's Origin and Evolution and UCL Division of Biosciences), explained: "This research throws new light on the evolution and maintenance of cooperation. Cooperation is fundamental to the success of most organisms on the planet, from microbes to humans. However, understanding why cheaters do not invade and collapse cooperative systems still remains a puzzle." 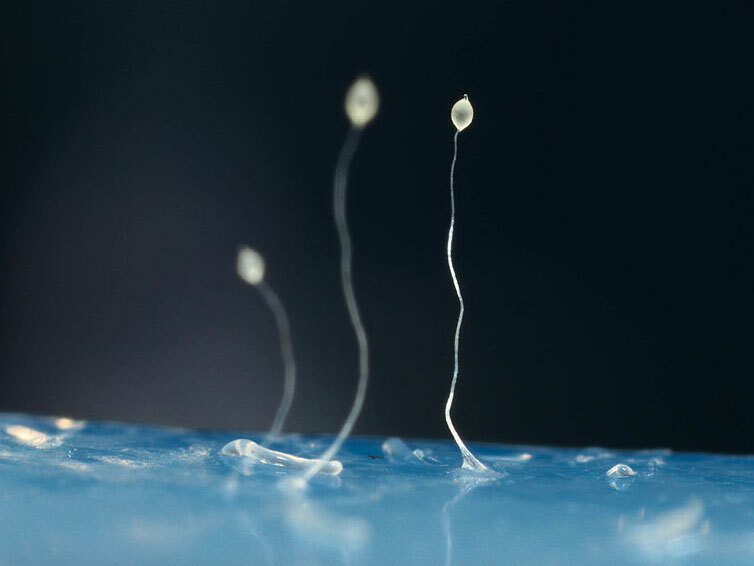 The team studied the social amoeba Dictyostelium discoideum or slime mould. Slime moulds live in the soil as single-celled organisms, but come together to form a slug-like creature when they run out of food. The newly formed slug will eventually form a fruiting body composed of a stem and spores. This process requires cooperation between the individual amoebae to form a successful fruiting body. The scientists investigated what factors caused the individual amoebae to "choose" whether to sacrifice themselves to form the stem of the fruiting body for the collective good, or to exploit the contribution of others and form spores that would go on to reproduce. Traditionally biologists trying to solve this puzzle labelled individuals as either co-operators or cheaters. However, this study shows that even simple microbes follow the economic principles of collective investment, varying their contribution depending on how much stake they have in the success of the fruiting body. "Many attempts to solve this problem rely on the assumption that individuals can either 'cheat' or 'cooperate'. In these cases, cheating would usually the best strategy and thus cooperation collapses, an idea demonstrated by games such as the Prisoner's Dilemma," explained Professor Thompson. "Our studies demonstrate a solution to the problem, because an even better strategy is to cheat if you can get away with it and cause little damage to group success. However, if group success would be compromised, individuals should change their strategy and cooperate, which helps stabilise cooperation. The fact that we observe this behaviour in a simple microbe is truly remarkable." Author Professor Jason Wolf (Milner Centre for Evolution at the University of Bath), explained: "Our research shows that even the simplest microbe can act like a savvy investor. Rather than being labelled as either cheaters or co-operators, each individual can potentially benefit from varying their level of investment into cooperation depending on the investments of others. "If one person has an 80 per cent share of a company and another has a 20 per cent share, it makes economic sense for the person with 80 per cent to invest more than the other person because they have more at stake if the project fails. "In a similar way, microbes with one genotype invest more resources in making the stalk if most of the others in the group share the same genes. If they don't invest, they have more to lose because their stake is larger. Microbes of a minority genotype have less to lose if the fruiting body fails so go for maximum return by forming spores." The researchers found that an equal mixture of two phenotypes led to neither group investing sufficiently, creating a fruiting body that collapsed under its own weight. The study was kindly funded by the Biotechnology and Biological Sciences Research Council and Wellcome.